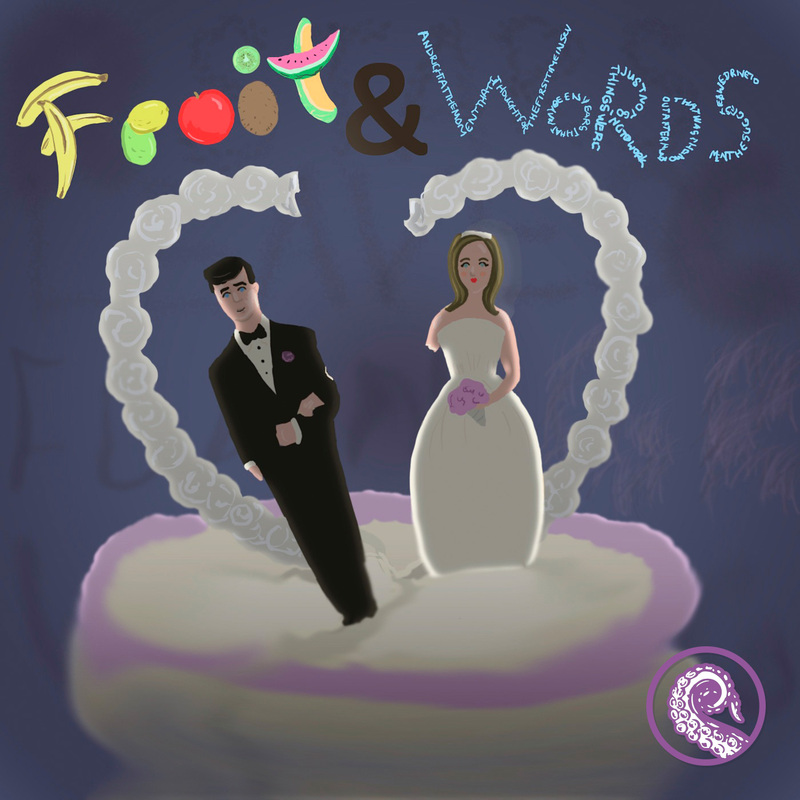 This week The Drabblecast presents "Fruit and Words" by Aimee Bender; a story about words and their meanings. Just a guess, but is Aimee's middle name Mind? Not sure in which room one would look for it, though. Really enjoyed this story, even if (or maybe because) its deeper meaning, for me, is sitting somewhere up there with the xenon – and I'm sure to mangle it if I make a grab for it! But the slow sure swerve from the straight road of reality was sweetly done. Actually, it's a shame the text wasn't included with this one. Reading the enigmatic words while listening (as works a treat with stories like Skullpocket), might have added yet another level of fruity musing...perhaps it was safer not to! Still, there is one moral within this story that I'm rock solidly across and behind. As someone who has worked too many shifts behind convenience store counters – is it asking too much for the good customer to wait until they've left the store to start wolfing down their purchase? Seriously, folks, it's what separates us from the ghouls! This was a great story. I got irrationally angry at the jerk leaving the girl to drive home alone. I was completely grossed out when the girl didn't wash her hands after eating the juicy AF mango. Sticky hands like that gross me TF out. I had to wash my own. IMO I'd love a follow up story where the woman can't eat fruit anymroe. It constantly drys up and goes bad, forming words "you owe me $300!" Text is coming for this one! Just had to work a contract thingee out. It's so great to have the Drabblecast back. You were greatly missed. A bit of friendly criticism. The new episodes seem to have a lot more sound effects and emphasis on the background music. To me this is distracting from the story, and I'm wondering if others have noticed the same. Don't get me wrong, I love Norm's music as much as the next guy, and I'm not criticizing that. I'm referring to the music underneath the narration, which sometimes gets a little overenthusiastic. It's funny, a lot of people have told me this story feels like a total return to Drabblecast form. I think this one and Single Parent I get the most feedback on these days. Weird is different and fun for different people for different reasons I guess, that's why it's "weird." To be fair to Norm, if you think there's too much music and sfx, it's most likely one I produced. I think this becomes most fully Drabblecast for me when the narrator notes "dog" and "cat" among the words while fleeing. WTF is up with that?! Incidentally, huge props to Mary on this episode art! Anyone else notice that "Words" in the title is composed of story text? Super cool. That's awesome! I didn't notice that about the art Adam! Yah, still finding our legs a little with production balance after relaunch. I think it really works and turns the story into something broader and special when done right-- Drabblecast has always been notable for trying to ad a cinematic element to production. But thanks for the feedback, always noted! Please don't dial back on the sound effects and music. It's one of the things that makes Drabblecast episodes unique.